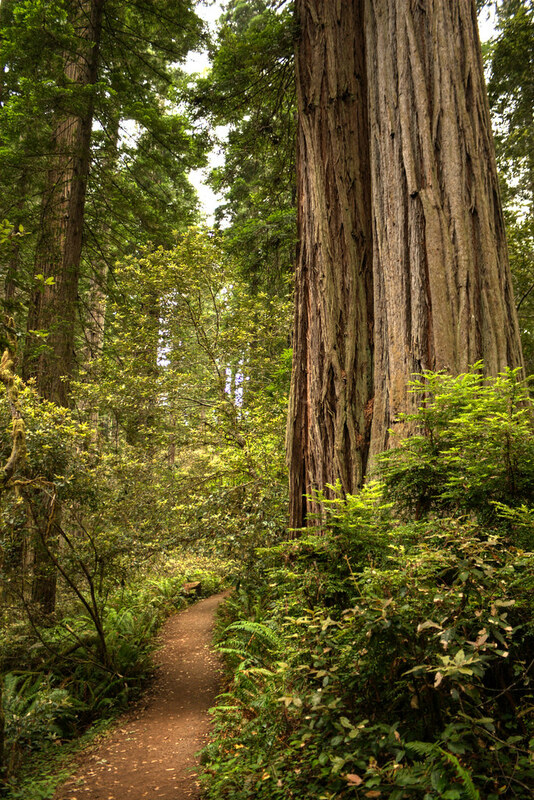 Even though, “Hike Through the Redwood Forest,” is at number 57 on my Life List, it was really on my list before I knew what a Life List was. 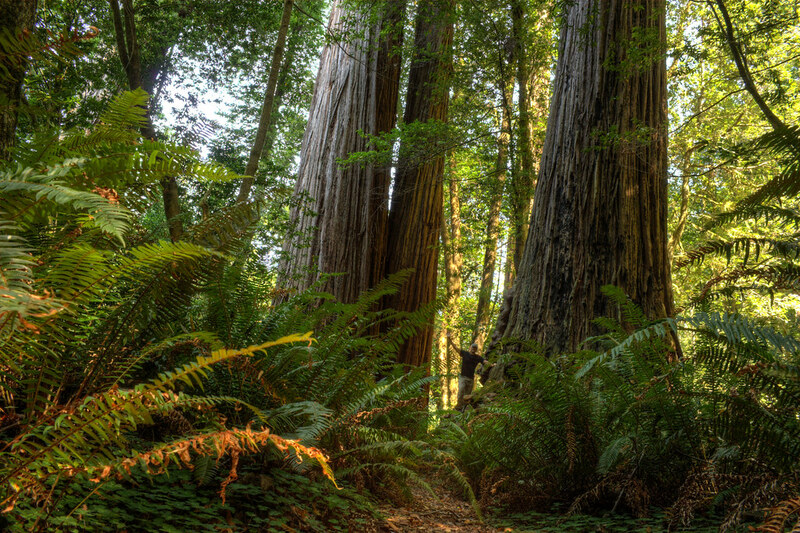 Actually, before I even knew they called it the Redwood Forest. Come to think of it, it was on my list before I even realized I wouldn't live forever, and so, need such a list. 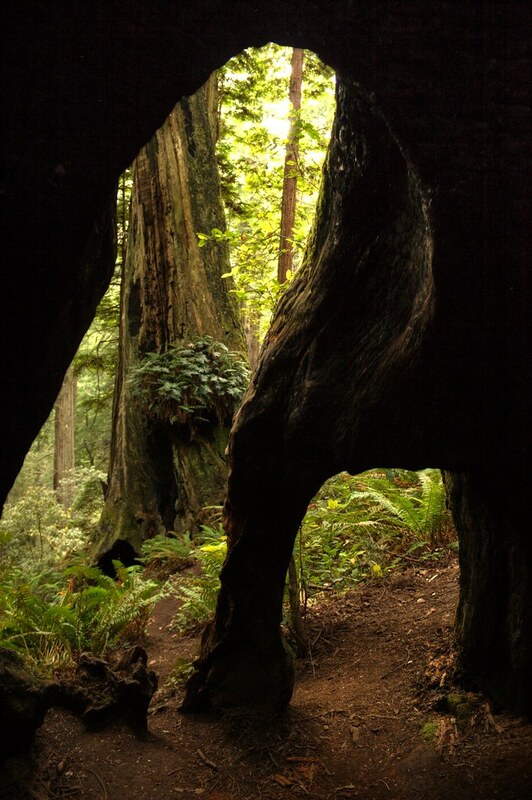 You see, the Redwood Forest is where they filmed the forest scenes in Return of the Jedi. 1983. That’s when a five-year-old Ryan wanted to come here… and live among the Ewoks. As an adult, I think I was just as happy to be here as I imagined when I was five, even though Wicket W. Warrick and I didn’t run around the forest floor hand-in-hand, having amazing adventures. Instead, I walked alone in the scattered sunlight that poured through the dense green canopy. I didn't feel alone, though. The Redwood Trees, 300-feet tall and hundreds of years old, groaned and creaked in the wind like the deep voices of megafauna. I frequently stumbled over rocks and roots with a crick in my neck from trying to walk while I gazed up their monstrous trunks. 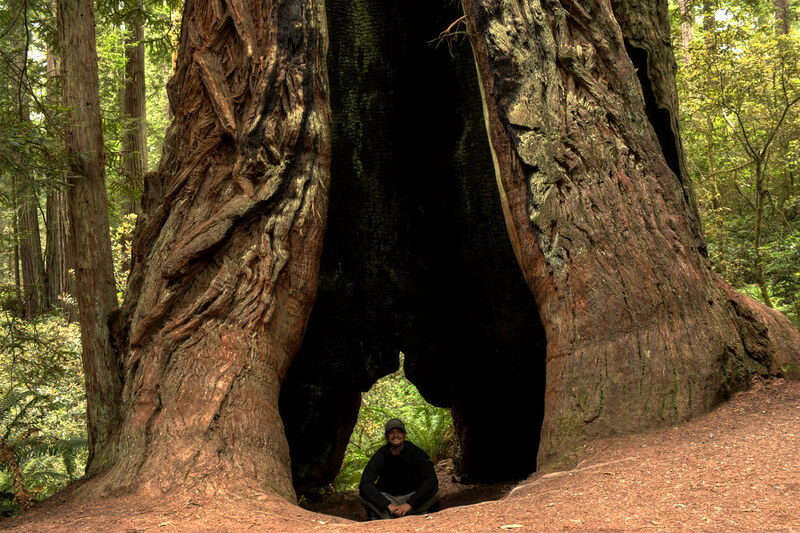 A hollow Redwood stood like a hut welcoming me inside to sit a spell. A long-extinguished fire blackened the interior. Despite this, it continues to live and thrive. Actually, during its long life, the tree had probably been set on fire numerous times. 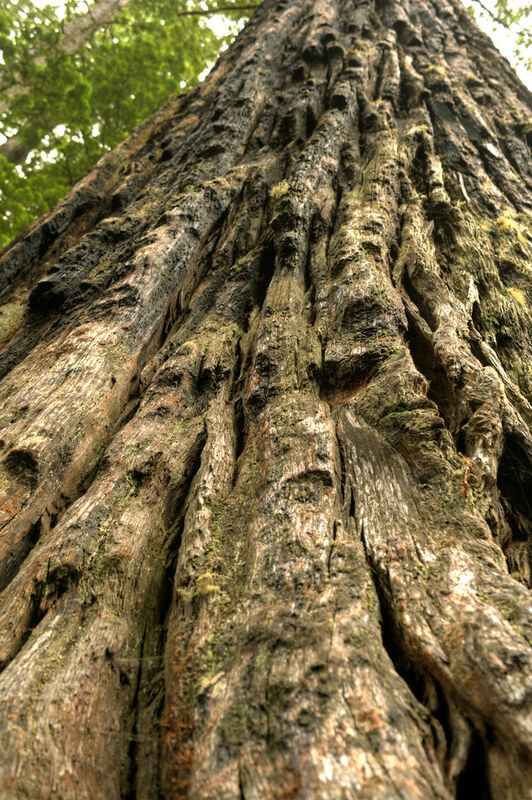 The bark of a Redwood lacks the volatile resins found in other trees, and their sap is mostly water. This slows their combustion. The “heartwood” on the inside, however, burns then decays, leaving behind hollows other animals use for shelter. Animals like me. The tree is a survivor. Probably more than twenty generations have come and gone since this forest giant felt its first ray of sunshine. It survived as a seedling when most do not. 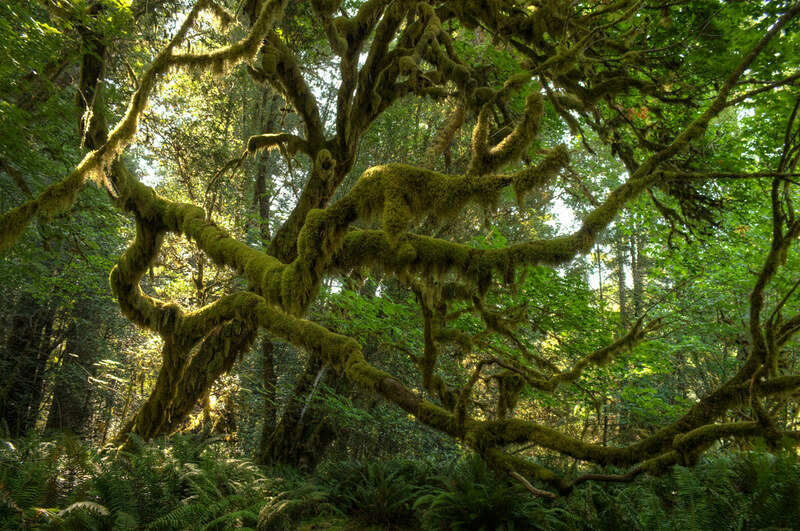 It survived hundreds of years of disease, harsh weather, raging forest fires, and encroaching industrial-era humans. And then, after all those centuries, a man with the initials W.F. walked by. This irreverent and vain human being figured that, after all this history, the immense tree was almost perfect. All it lacked were his initials carved into the bark. Such a small amount of damage irritated me, so you can imagine how I felt when I learned that, in less than a century, lumbermen reduced 96% of these mighty old-growth forests to stumps and open pastures. It astonishes me just how foolish we can be. That generation of men are gone now, but their work will haunt these lands for hundreds of years. Sometimes, people living life like me, are made to feel guilty for not working and contributing to society. In some cases , that's justified, but if I ever feel any guilt, I'll just think of the contributions of those hardworking lumbermen. This is why the National Park System was America's best idea. 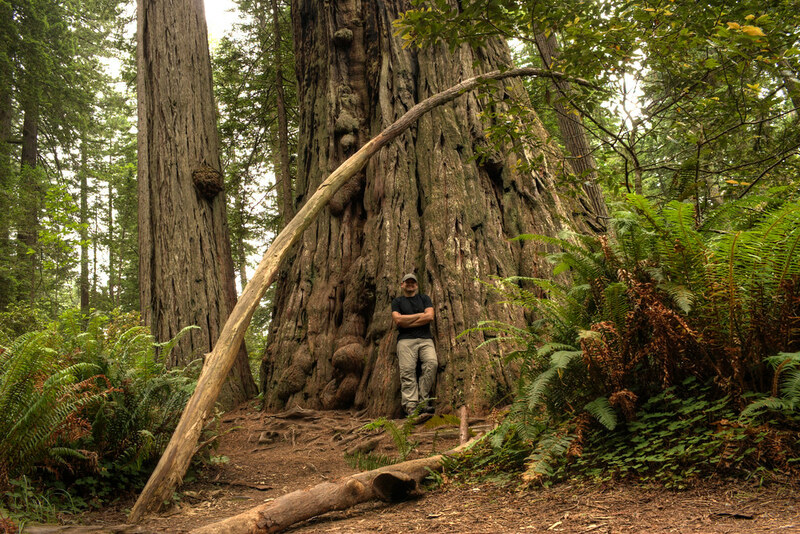 Only 4% of the Redwoods remain, but at least we didn't lose them all. And even though I won't be around to see it, I'll be hoping those seedlings that are pushing feebly through the soil, will survive the next twenty generations and reach the height of their towering relatives. Because when left alone, it is amazing what a forest can become.